Персонаж - Witch. Очки: 9/12. Здоровье: 9. 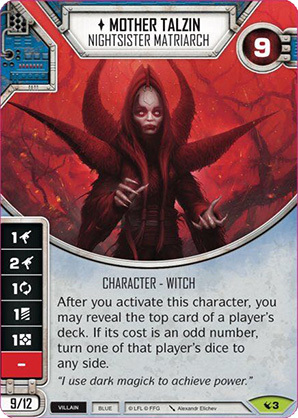 After you activate this character, you may reveal the top card of a player's deck. If its cost is an odd number, turn one of that player's dice to any side. "I use dark magick to achieve power."